Sen. Manka Dhingra makes the best case for her return to Olympia in the 45th Legislative District. Manka Dhingra is an accomplished and committed professional who should be returned to the Senate representing the 45th Legislative District. The Redmond Democrat’s experience as a county prosecutor and work on mental-health issues are assets as the Legislature continues work to solve the state’s response to its mental-health crisis at a state hospital and in communities. She is a board member for NAMI (National Association on Mental Illness) Eastside and is vice chair of the Senate Law & Justice and Human Services & Corrections committees. 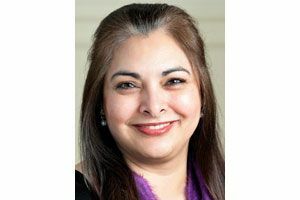 Dhingra, who is a member of the transportation committee, believes the Legislature should do something to fix Sound Transit’s car valuation system so car-tab taxes are more fair. However, she wants to find another way for the transit agency to make up any shortfall because of the change. Strengths: The Redmond Democrat's experience as a county prosecutor and work on mental-health issues are assets as the Legislature continues work to solve the state's response to its mental-health crisis at a state hospital and in communities. Dhingra’s vote to exempt the Legislature from parts of the state Public Records Act is all the more disappointing because, as a King County employee, she has had to live under and comply with the law. Fortunately, a public outcry prompted the governor to veto the bill. Her opponent, Republican Dale Fonk of Woodinville, is a business owner and developer. He has a point that the incumbent tends to be a reliable vote with her Democratic caucus that did not bring about relief for car-tab taxes, as promised. But Fonk is not well-versed on the major issues facing the Legislature, including ensuring the state’s education reforms are fully implemented and tweaked, if necessary. He would allow districts to levy taxes above new limitations, for instance. But Dhingra is rightly concerned such action would lead to another education-equity lawsuit down the road. Dhingra could show more political independence and commitment to government transparency, but she makes the best case for her candidacy.